Navratri is a festival dedicated to the worship of the Hindu deity Durga.The word Navaratri literally means nine nights in Sanskrit. During these nine nights and ten days, nine forms of Shakti are worshiped. The tenth day is Dussehra where devotees celebrate the victory of good over evil. Navratri is considered to be the world’s longest dance festival, a very important and major festival in the western states of Gujarat, Maharashtra, and Karnataka during which the traditional dance of Gujarat called Garba and Dandiya-Raas dance is widely performed. Garba originated in the state of Gujarat in India. Traditionally, it is performed during the Navarātrī. Either the Garba Lamp or an image of the Goddess, Durga (Amba) is placed in the middle of concentric rings for worshipping the Devi. Modern garba is heavily influenced by Dandiya Raas, a dance traditionally performed by men. The Garba we see today is a fusion of these two dances. The main types of Garba performed today are Garbi, 2 Taali, 3 Taali, Dodhiyu, Heech, and Fusion Garba. Women wear Chanya Choli a three-piece dress with a Choli, which is an embroidered and colorful blouse, teamed with chaniya, which is the flared, skirt-like bottom, and dupatta, which is usually worn in the traditional Gujarati manner. Men wear Kediyu (Traditional Kurta) and Dhoti (Traditional Cloth tied around the waist). The traditional costume of the Garba dancer is red, pink, yellow, orange, and brightly colored Chanya choli with bandhani, Aabhla (big mirrors) and bright heavy laces. They also wear heavy jewelry, such as 2-3 necklaces, sparkling bangles, waist belts and long oxidized earrings. She is known as 1st phase of Durga when she took birth as the daughter of Great Himalayas. Devi’s that phase when Maa Parvati before marriage was Devi Yogni and Devi Tapsvini. Maa Durga wears the semi-circular moon (Chandra) which appears like a bell (Ghanta) on her forehead. Kushmanda Ma Durga creates solar system by liberating her power to Lord Sun. As Mother of Skanda or Kartikeya, Maa Parvati or Maa Durga is known as Skandmata. When Maa Parvati’s Partial expansion took birth in Sage Katya’s home and gets energy from trinity and demi Gods, then the Goddess was known as Maa Katyani. In Skand Purana, Maa Parvati liberates Devi’s golden outer sheath and becomes dark complexioned then Goddess becomes Goddess Kaalratri. Devi is 16 years old unmarried Goddess Parvati. She is one who was worshiped by Lord Shiva to transform in the form of Goddess Ardhnarishwara, and then Goddess Shakti appeared from the left hand side of Lord Shiva. The Government of Gujarat has been organising the “Navratri Festival Celebrations” on a regular basis for the nine days of Navratri Festival which attracts people from all over Gujarat and even abroad come to participate in the nine days celebrations. It is also popular throughout India and among Indian communities around the world including the UK, Canada,Malaysia,Singapore and USA. The Garba of Baroda city is also very popular since thousands of residents assemble together and perform the Garba traditionally. Tourists from all over the world enjoy these colourful nights and get a taste of the rich Gujarati culture and heritage. 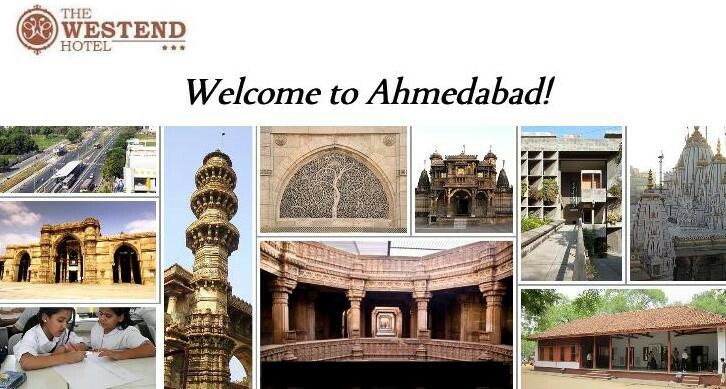 When in Ahmedabad, you can rest assured that you will have a comfortable and rewarding experience. You are welcome to stay at The Westend Hotel anytime. We would be happy to serve you. Hotel Westend is a well-known hotel situated right in the heart of Ahmedabad – with comfortable, luxurious rooms that have spacious accommodation and are tastefully furnished, Westend promises a pleasant, satisfying experience, both to the tourist traveler and the business visitor. If you are a traveler, wishing to see the city of Ahmedabad and explore the city’s architecture, eateries, commercial areas and cultures, you will find that staying in Westend makes it easier to access all the famous landmarks and important destinations of the city, as we are very suitably located , and our hotel is well-connected with both the old and the new city. And if you are on a business or corporate visit, Hotel Westend is just the right place for you to stay in! This is because of so many factors. One of them is that you can easily access all your business destinations as our hotel is located centrally. And the other important factor will appeal a lot to our business guests- the convenience of the Conference Room. You can host your business meeting, conference or exhibition here. The Conference Room which can easily hold upto 175 people is an ideal location for conducting all your business meets. Last week the world-famous Nikon camera company arranged a conference declaring the launch of their new range of cameras in the Conference Room at Hotel Westend. The event was very well attended by dealers, visitors, photography-lovers and others thronging the conference, wanting to know about the new cameras that will be soon introduced. A world leader in digital imaging, cameras, precision optics and photo imaging Nikon was able to hold a successful product launch in the premises of Hotel Westend’s Conference Room! 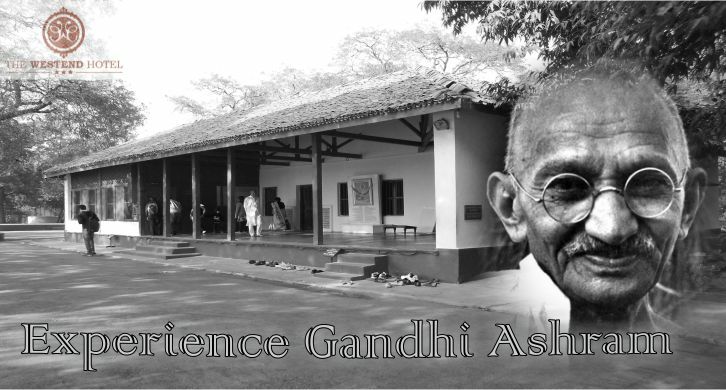 Gandhi Ashram is located by the banks of River Sabarmati. It has a rich history being the epicenter of the Mahatma’s activities during those revolutionary times. Gandhi Ashram still serves as the model of non-violence and echoes with Mahatma Gandhi’s philosophy of simple living and high thinking. The Ashram receives nearly 7 lakh visitors each year and stays open from 8 am to 7 pm. Bapu, as Mahatma Gandhi is fondly called lived at the Ashram with several of his colleagues. The life had a routine where discipline and self control were emphasized. Gandhi Ashram is also known as Sabarmati Ashram or Satyagrah Ashram. The Ashram served his base in the famous Dandi March, the Salt Satyagraha that compelled the British to eventually remove the Salt Tax. It serves as a National Monument today. Originally, the ashram was set up at the Bungalow of Jivanlal Desai, friend of Gandhiji and a barrister on the fateful date of 25th May, 1915. This Ashram known as Satyagrah Ashram was to serve as the base for several activities including farming, animal husbandry and other activities that needed a larger patch of land. Two years later on 17th June, 1917, it was relocated to the banks of river Sabarmati on a much bigger piece of land of 36 acres. As the legend goes, this was the place where Dadhichi Rishi had donated his bones for a righteous war. The Ashram is now Gandhi Memorial Museum. Plenty of things to see here, especially Hridaya Kunj, Gandhiji’s cottage, Nandini – the guest room where Indian and International visitors were accommodated, Vinoba Kutir – where Vinoba Bhave lived or Mira Kutir – where sister Mira, the daughter of a British Admiral lived. Find some time to meditate in the Upasana Mandir – prayer ground and experience the peace in Magan Nivas – where Gandhiji’s beloved nephew Maganlal Gandhi lived until his death. This gallery consists of 50 hand drawn panels that depict the major events in Gandhi’s life that occured while he was in Ahmedabad (1915 – 1930). This gallery is dedicated to 8 paintings depicting Gandhi in various poses during various activities (marching; spinning cloth; meditating etc). These portraits were painted in the 1960′s by Chandulal Shah and Hiralal Khatri who were textile merchants as well as accomplished artists. The “My Life is my Message” gallery is a gallery dedicated to chronicling the inspiring life of MK Gandhi, the Mahatma. This is achieved through an exhibition of over 250 photographs organised in 7 parts which covers his entire life from his birth in Porbandar (in 1869), his time spent in England, the pivotal role he played in the South African Indian freedom struggle and his multiple roles in the path to Indian independence and finally ending with his tragic assassination in Delhi in 1948. You can learn how to make cotton using the famous spin yarn. Don’t forget to be a part of the prayers as the day comes to an end here. If you manage to have some time to yourself, take some time and sit across the riverfront and stare into the seeming endlessness of the calm waters of the river Narmada along the riverfront. Once you have recharged your soul, get ready to see the rest of Ahmedabad. 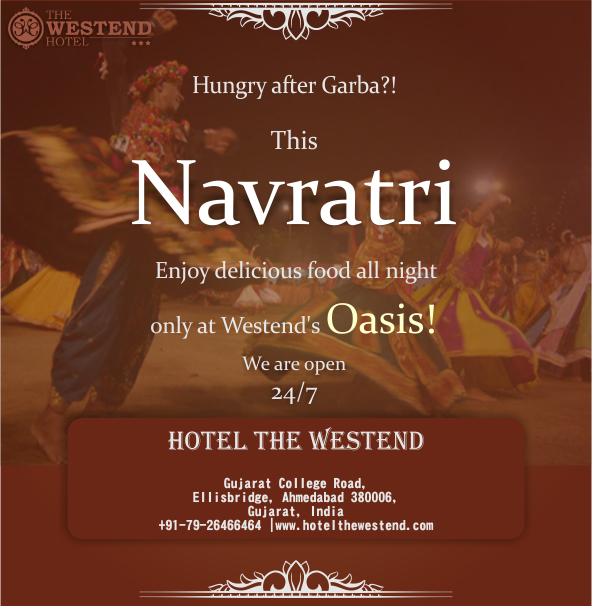 Stay at the ultimate luxury hotel while in Ahmedabad – the Westend hotel only 12 minutes drive from Gandhi Ashram. Nestled along the banks of the river Sabarmati, the city of Ahmedabad forms the former capital and the current largest city of the Gujarat State in India. The name Ahmedabad is after its founder Sultan Ahmed Shah. There’s a famous legend associated with the land. When the hare overpowered the dog, Ahmedshah established the city. The city was set up in early 15th century. It has a rich legacy in terms of trade and investment since its early days. In the Independence Movement of India too it played a crucial role since it served as a center for activities of Mahatma Gandhi, the father of the nation. During the initial days, Sultan Ahmed Shah invited Jain Merchants who established banking and textile trading in the capital, which continued up to the days of the British Rule in India. The prosperous trading community prioritized technical and commercial education in the city, a trend which still persists in the city. There are 54 monuments, nearly 40 privately owned art galleries encompassing different subjects, dozen museums, two of the nation’s famous Premier Institutions (IIM, MICA) and nearly 1000 restaurants in Ahmedabad. You will never miss out on options to try the local and the localized international flavors here along with some authentic international and continental cuisine. However, for those who like to consume alcohol, the city can be a disappointment. No alcohol consumption is allowed in the state except for those who have a license to consume alcohol. If you can look past that, you will enjoy the rich culture, tradition and the rich legacy it has to offer.